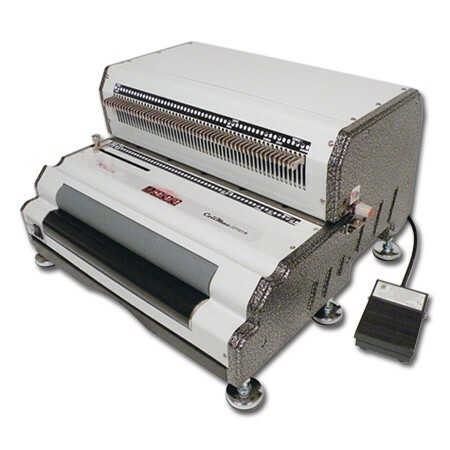 With the Akiles DuoMac 431 you can bind documents with both 4:1 pitch spiral coil and 3:1 pitch twin loop wire. The DuoMac 431 is the only combination machine of its kind. 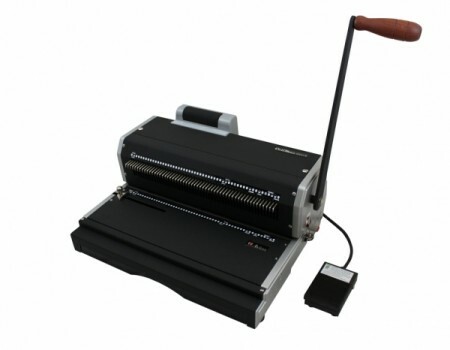 The unique design of the 431 includes a the ability to punch both a 4:1 pitch hole pattern for spiral coil binding and a 3:1 pitch hole pattern for twin loop wire binding up to 9/16″. This gives you the ability to choose the look and feel of your bound books and presentations. Four to One pitch coil (4 holes per inch) is the standard pitch of spiral coil used for binding presentations, proposals and books. 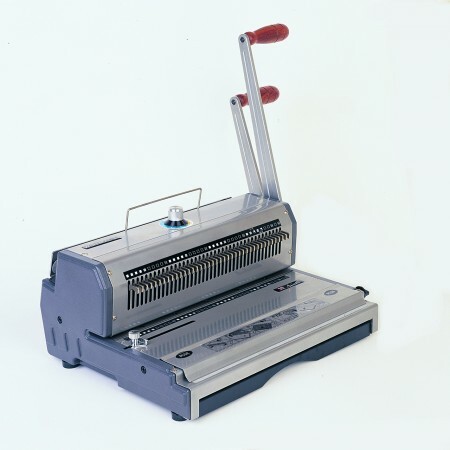 Normally, you would have to use two different binding machines to do the same tasks as the DuoMac 431. Now you can choose between these two great binding styles for all your reports and presentations and you can also save space, time and money. Duo-Mac – C51 ADM-C51 Comb + Coil 5:1 *FREE coil crimpers with any coil combination. DuoMac-C41 ADM-C41 Comb + Coil 4:1 *Comb Spreader with any comb combination. DuoMac-C31 ADM-C31 Comb + Wire 3:1 *Built-in wire closer with any combination. 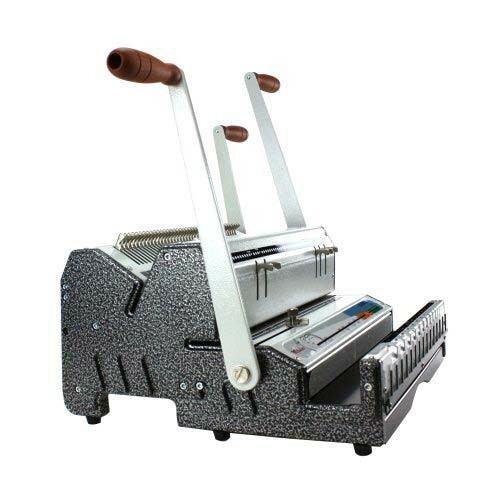 DuoMac-541 ADM-541 Coil 5:1 + Coil 4:1 ** Electric inserter sold separately at bundle price for any coil combination.